The American Library Association held one of their two annual conferences this past weekend, and OverDrive was there to show off their latest projects. There are many projects which OverDrive has been working on, including a new partnership with Microsoft's Bing and new fruits from OverDrive's 2012 acquisition of Booki.sh. If you're looking for a book, chances are you will be using a search engine. Thanks to a new deal between OverDrive and Microsoft Bing will now be more useful for finding library ebooks and reading samples online. Search for an author or book title on Bing and in addition to the usual search results you will find a sidebar with information provided by OverDrive. This is similar to the deal Inkling had at one time with Google, only instead of being limited to one publisher the Bing sidebar will show any titles distributed to libraries by OverDrive. 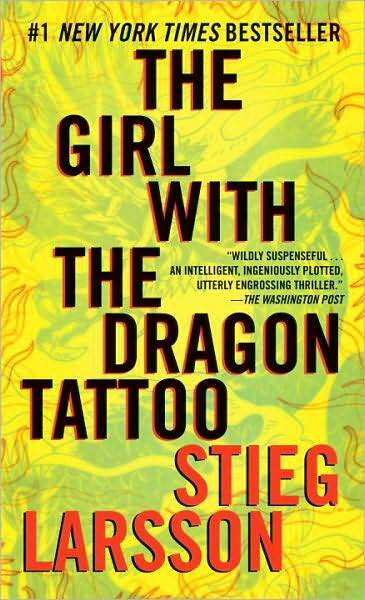 For example, this search will bring up details on a Stieg Larssen title. After you click the link, scroll down the search results page a bit and click the link which says "read excerpt". This will take you to OverDrive's next new trick. OverDrive is now serving up excerpts of ebooks and encouraging interested buyers to find the ebook at an OverDrive library, or in a retail store. I'm told that this feature sometimes doesn't work (and even when it does it isn't terribly functional) but that is less important than the opportunities OverDrive just opened up. Now authors and publishers will be able to embed a sample on their website and improve their chances of making a sale. And best of all, you don't have to depend on people using Bing in order to make use of the embed feature. The latest statistics show that Bing was only used for 18% of searches in the US in 2013, far behind Google's 67% share, but since the OverDrive-Bing integration is all handled behind the scenes authors won't be affected. It’s good that OverDrive is improving folks’ ability to find library books. I’m still not finding any of my titles listed. My question at this point is, is this new search feature going to include indie titles, like mine? Just wanted to help clarify on your question. The Indie titles are in a highlighted collection in our Marketplace. As for the Bing search results- Currently they’ve added 10s of thousands of the titles from our catalog and continue to add new titles to their system daily. You’ll see the search be more robust as they go through our catalog. Actually both, where the Indie titles are, and the daily additions Bing is doing with the titles. If I could, can I ask you if there’s a chance some of the librarians don’t know about searching within ya’ll’s Marketplace, if I should let my local librarians know, or OverDrive has pretty well let all of them know already? You, of course, are welcome to reach out to them! We sent email updates to all of our library partners about our new indie additions but, of course, not everyone opens every email so it’s possible they may have missed it. 🙂 Feel free to reach out and let me know if you have any other questons. Thank you Adam, it’s great to know ya’ll (OverDrive) has the desire and willingness to do outreach in places like this (comment threads). It adds, I think, a great deal of value to doing business with ya’ll. Adam, hope I can still reach out to you. I still, after nearly two months when my titles were shipping to OverDrive from Smashwords, can not get my local librarians here in Austin (or nearby Westlake) to find any of my titles.